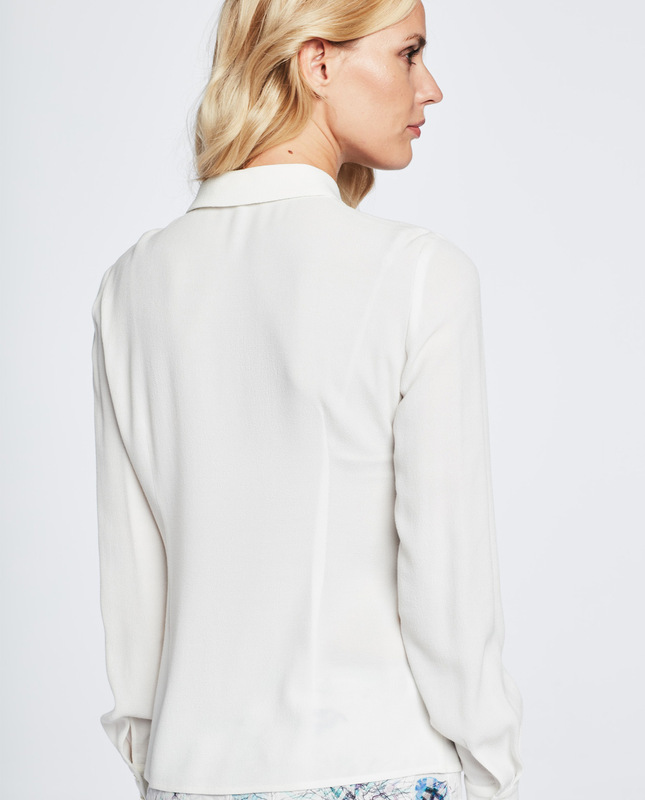 Elegant blouse with a collar and a decorative droplet hollow. 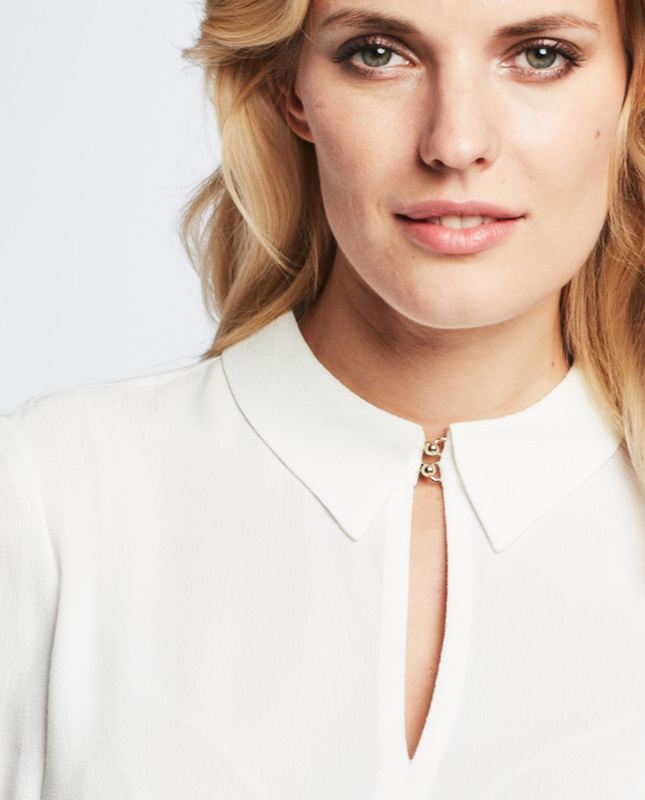 This classic style will be appropriate for nearly any look. Bouses, a staple in a woman’s wardrobe, can create a number of many different outfits. The collar held together with a set of hooks and loops is a charming element, adds a bit of subtlety. A slit at the neck flatters the neck and elongates your frame. Made from lightweight viscose fabric.Tops are versatile and will come in handy on many different occasions. Paired with high heels, it will make for an impeccable business look, flats and cigrette trousers will create a more casual outfit. Sleeves finished with a buttoned cuff.